Xoriant Mobile Field Service is an open standards solution that extends the reach of your Infor ERP LN service functionality beyond your enterprise. You can boost your Field Service productivity by allowing access to Infor LN service data, check your inventory, process your service orders from customer sites, all using your Smartphones or mobile devices or your notebook computers, if you so choose. The XMS Scheduling Engine executes Scheduled Jobs to extract Master & Transactional Data from Infor LN. This is typically done once a day, but can be scheduled at any different frequency by changing a simple parameter in the Scheduler. 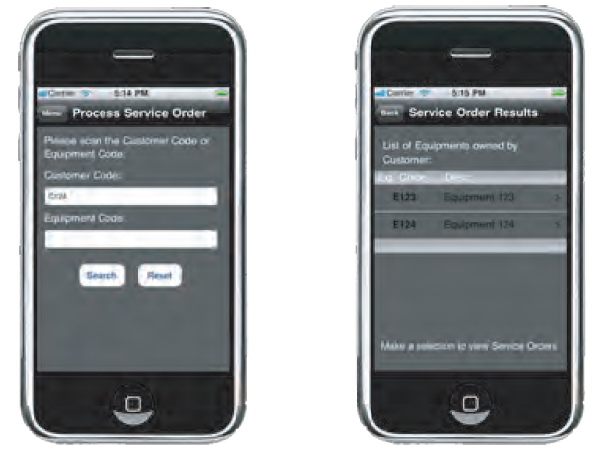 Service Technicians use the mobile application, authorize themselves and download the Master and Transactional Data from XMS. The Service Technicians visit the customers and process the Service Order(s). The technicians input the information regarding the inventory consumed, time (hours, minutes) spent and any other expenses into the mobile app on their handheld. The mobile application saves all this data on the device. The Service Technicians return back to the organization and now that they have connectivity to the XMS Server, the use the mobile application to upload the data from their devices via the Synchronize functionality. XMS receives this data and marks it for synchronization with Infor LN. 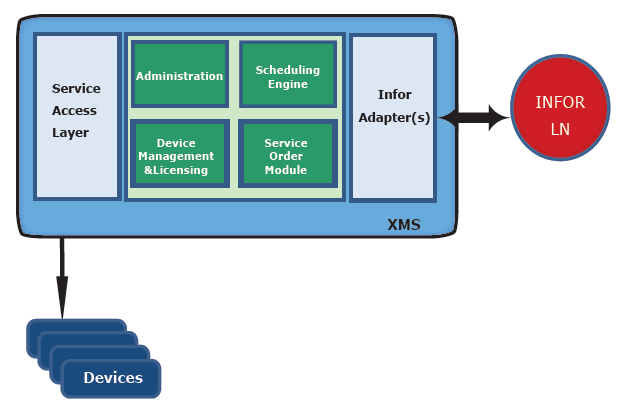 The Scheduling Engine then executes the synchronization using the Infor LN Adapter. This synchronization can also be done during the day at any other frequency if the connectivity between the XMS and the mobile device exists and if the business process is designed that way. The data validation process before the data is input back into the Infor LN can be totally manual or rules based or combination of both, where only the data not strictly satisfying the rules could be manually inspected.